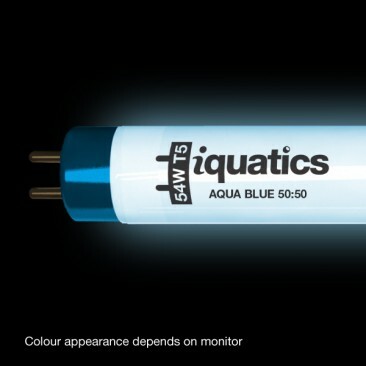 54W – 1200mm/48”(l) – 5/8”- 16 mm (w) AQUA BLUE 50:50 tube combines the phosphors of a Blue Plus tube with a 10000k full-spectrum daylight. Great as a standalone bulb. Bought 4 mixed T5 tubes for my new tank, they arrived quicker than I expected and very well packaged. I have bought from iquatics on several occasions, they are a top quality product at a very reasonable price and are just as good as any of the brands. They give great advice as well should you need it. Highly recommended. 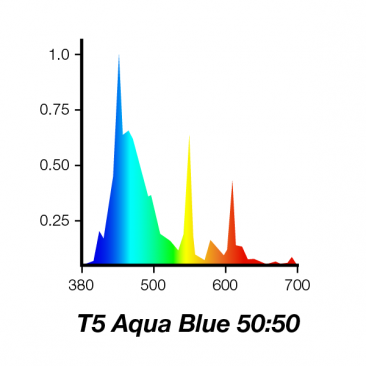 These bulbs give a fantastic light really showing off the colour of my blue dolphin cichlids. As always very fast delivery. 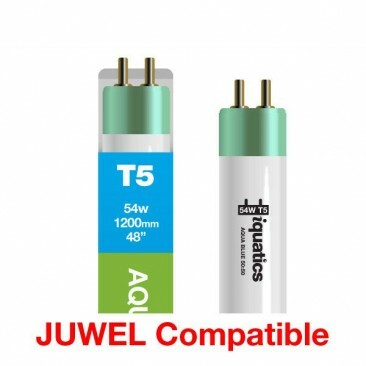 Excellent product and service.